One searcher's honest and fascinating journey to encounter God, love others, and discover his true self through a year of spiritual practices. My thoughts: THE SACRED YEAR is not meant to be inhaled in one lump sum by reviewers. I was about three or four chapters in when I realized that. It's like sitting in your pastor's study and hearing him preach every message in his collection--at once. Too much, too soon. So, that said, as a reviewer, reading it in one lump sum, it is overwhelming. Mind-boggling. Skim-inducing. Too much, too soon. BUT reading it as a reader, you read one section at a time. You ponder it. Highlight. Make notes. Study it. Think about it. Agree (or disagree.) Find tidbits you can use on your own spiritual journey. And then, it is not overwhelming, mind-boggling, nor skim-inducing. It is inspiring. Motivational. Encouraging. Engaging. I requested this book because my son read Mr. Yankoski's Under the Overpass and was fascinated by it. It's on his keeper-shelf. I don't think my son read any of Mr. Yankoski's other books, and I hadn't read any of them, but I asked if he'd be interested in THE SACRED YEAR if I reviewed it. I didn't ask him to; he's a busy university student who makes time to read, but it's on his schedule, not the calendar the serious reviewer has to maintain. He agreed. And I'm glad he did. Because Mr. Yankoski is a really thought provoking author. I will read this book again. Slower. As it's meant to be read. About the author: Michael Yankoski is a writer, aspiring theologian, and urban homesteader who dreams of becoming a competent woodworker, musician, and sailor. He received his MA in theological studies at Regent College in Vancouver, British Columbia, is a (novitate) Oblate of St. Benedict, and has authored four books. Michael grew up in Colorado, feels at home on the Pacific Coast, and currently resides in Indiana, where he and his wife are pursuing PhDs at the University of Notre Dame. Michael Yankoski became jaded and disillusioned with his life as a Christian motivational speaker, feeling as though he was another act in the “Christian Carnival.” Religion started to become a façade instead of a deep, nourished, lived experience of faith. He knew he needed to stop talking about his faith and begin living and practicing it. In a sort of desperation, Michael dedicated the next year to engaging various spiritual practices, and The Sacred Year is a firsthand account of the downs and ups, the failures and successes of an honest search for answers to the human yearning for life, love, and God. It’s time to stop talking about your faith and begin living and experiencing it. Miracles may happen when we least expect them, but they have a habit of jumping out at us when we need them the most. them that heaven is not far and that love is never lost. My thoughts: This was kind of a sad book, tear-jerker. Sam was born to encouraging parents and he thrived as a salesman--until one day when the world turned upside down. Read this book with a box of tissue. It is a book that will go on the keeper shelf to be read over and over. Thought provoking. Jason F. Wright is the New York Times bestselling author of Christmas Jars and The Wednesday Letters. He writes a weekly column for the Deseret News and Northern Virginia Daily. His articles have appeared in over fifty newspapers and magazines across the United States including The Washington Times, The Chicago Tribune, and Forbes. A popular speaker, Jason has been seen on CNN, FoxNews, C-SPAN, and on local television affiliates around the country. Jason and his wife, Kodi, live in Virginia with their four children. About the book: Children ages 4-8 will be delighted by these rhyming Bible stories pairing spiritual truths with playful illustrations. Featuring lyrical stories full of lighthearted moments, this colorful collection of Magnificent Tales is perfect for reading out loud. As families read these stories night after night, they will make memories together while learning about the Bible. My thoughts: TREASURY OF BIBLE STORIES is rhymes. Some of the Bible stories aren't exactly right, for instance, with the resurrection of Jesus, the poems say the guards pretended they were dead, but that isn't right. They actually fainted. Other than some of the facts being misrepresented, the book was good and we like it. It is a good book for little kids, such as toddlers, preschoolers and early elementary age kids. It is good for use in Sunday school and nurseries or children's church when teachers or leaders read to the kids. My twelve year old enjoyed reading it, but she feels it is way below her age limit. My nine year old liked it more - but she is only slightly above the recommended ages of 4 - 8. If you have children or grandchildren ages 4 - 8 or work with the children's ministry at your church or Christian school, you'll want to pick up a copy of TREASURY OF BIBLE STORIES. I thought they were very well done. About the author: Kelly Pulley works from his middle Tennessee home writing and illustrating children's picture books, most recently Ten Unusual Features of Lulu McDunn and The Cycling Wangdoos. He is best known for illustrating dozens of books in the Beginner's Bible series, including The Beginner's Bible (over 1.25 million copies sold). Q: Who was the Treasury of Bible Stories written for and what are some of the best ways parents can use the book within the home? Can Bible class teachers use it too? I’ve illustrated many children’s Bible storybooks over the years; most are for toddlers or early readers. Treasury of Bible Stories, however, was created primarily for more advanced readers (4-8 years). It’s meant to be fun and entertaining, yet it follows the original Bible stories very closely; it has no made-up characters or talking animals, etc., and the stories all have clear messages. So, yes, I think it could be a very useful tool for church or at-home Bible classes. Q: You’re a well-known illustrator, having done the art for the most recent release of The Beginner’s Bible, which sold 1.5 million copies. How did you transition from being a graphic designer to illustrator and writer? I had a lull in illustration projects so I thought it would be a good idea to try something new during my down time. Writing children’s stories was an obvious choice since I was already illustrating them, but I had no idea if I could write a decent story or not. I’d never tried. My first attempt was Food for a Fish. I showed it to my publisher, and she liked it! That was in 2008. Q: Why is it so important for parents to make sure their children are getting a steady diet of Bible stories? As we get older and busier it gets harder and harder to find/make time to read our Bibles. At least that’s what I’ve found in my life. Getting in the habit of reading our Bibles as early as possible seems to me to be a good idea. And when something is fun for kids, they will more likely want to do it. Q: Treasury of Bible Stories has been called “The Bible . . . if it were written by Dr. Seuss.” Has his work been an inspiration for you? Yes, definitely. When I was in grade school, and I was in the school library, I would always head straight to the Dr. Seuss books. I loved the rhyming stories and the fantastical illustrations. I still do. It’s not that I try to make my stories sound “Dr. Seuss-like,” but I enjoy writing in the same meter he usually used. It works well for longer, more complex stories. Q: Do you think the cadence of the rhyming in this book will help children remember the stories better? The stories are a lot of fun to read, not only because of the rhyme and meter, but also because of word plays and the wacky pictures. I think because they are so fun, they will be reread over and over, which will help them to be remembered. Q: In our world of slick marketing and non-stop stimulation, kids are more media-savvy than ever. How will Treasury of Bible Stories hold their attention? Why does using it as a bedtime storybook work well? The illustrations in Treasury of Bible Stories are more contemporary and the stories more entertaining than most Bible storybooks. The stories are long enough to get the entire story and message in without dragging on and on. Most of the stories take around ten minutes to read. Just long enough for an end-of-the-day wind-down. Q: Kids love repetition — but all parents have had a moment where they’ve thought they cannot read a particular book to their children one more time. Why won’t parents mind picking this book up night after night? I have four kids, so you know I’ve been there! I must admit, I’ve tried hiding books or skipping pages to get through them faster . . . that never worked! I think the writing is clever enough to make them enjoyable for adults as well as children. I still like them, but I doubt that counts. Q: How did you decide which Bible stories went into this book? I started out with the most popular stories: Noah, David and Goliath, Daniel and the Lions, Jonah and the Whale and the story of the Nativity. The stories leading up to and including Christ’s death and resurrection were a must. For the rest I chose the most interesting stories with a good message that brought to mind the best images for illustrations. A good story should stand without illustrations but also work with only illustrations and no words. Q: Which story in Treasury of Bible Stories is your favorite? I have two favorites. One is “A Shout for the Lord (The Convincing Story of Gideon’s Doubt).” I like it because it has a lot going on (it has action and soldiers and such), but also because I can relate to Gideon. Many times I’ve felt God leading me, but I doubted I was the right guy for the job. My wife has warned me more than once that I was thinking like Gideon. My other favorite story is “He Has Risen!” It’s the last story in the book and the last one I wrote. Sometimes during the writing process the right word or phrase will just pop into my head without any thought at all, as though it were a gift from God. This story has many gifts in it! Following an attack that killed her mother and stole her ability to speak, 21-year-old Sophia Montgomery has no choice but to accept her estranged grandmother's offer to return to their family home. Although detective Julian Frazier is working hard on the case, Sophia unknowingly frustrates him because her inability to speak thwarts her eyewitness evidence. The fact that Julian is undeniably attracted to Sophia doesn't help either, so Julian hides his feelings as concern for a trauma victim and focuses instead on finding the killer. My thoughts: I was offered the chance to endorse Ms. Caroll's book and I turned it down. It sounded scary and I'm a member of the 'big honkin' chicken club', as coined by Brandilyn Collins and few other scary suspense writers. Somehow, I'm not sure how, I ended up on the sign up sheet to review HIDDEN IN THE STARS. I don't remember volunteering, but I might have, on accident. To my surprise HIDDEN IN THE STARS wasn't nearly as scary as I thought. It was written more in the style of the NCIS investigative television shows that used to be on TV (not sure if they still are. We don't have a TV.) Julian and his partner, Brody, are trying to solve the murder of a Russian ballet princess Nina and the extensive damage to her daughter, Sophia, ruining her dreams of competing in the Olympics. HIDDEN IN THE STARS wasn't scary at all. There were a few moments when the tension slid up the radar, but not many. 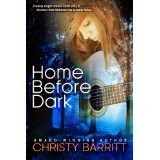 Instead, this was a great romantic suspense, and the ending scenes surprised me somewhat, with the who-dun-it and why. If you like romantic suspense and shy away from the super scary stuff, don't let HIDDEN IN THE STARS get away. It isn't super scary. It is great. Highly recommended. 5 stars. Robin Caroll is the author of 22 published novels. When she isn't writing, Robin spends time with her husband of 20-plus years, her three beautiful daughters and two handsome grandsons, and their character-filled pets at home in Little Rock, Arkansas. She gives back to the writing community by serving as conference director for ACFW. Her books have been named finalists in such contests as the Carol Award, HOLT Medallion, Daphne du Maurier, RT Reviewer's Choice Award, Bookseller's Best, and Book of the Year. If you’re going to run for your life you gotta wear the right shoes. Pre-teen shoe model Riley Mae laces up her flaming orange solefire running shoes for another ad campaign. This time in Kenya, Africa. Kenya is the perfect place for runners to train. With it’s high elevation and encouragement for Olympic athletes. It’s also a great hiding place for Riley and her swift river friends from so called enemies back in the United States… but for how long? 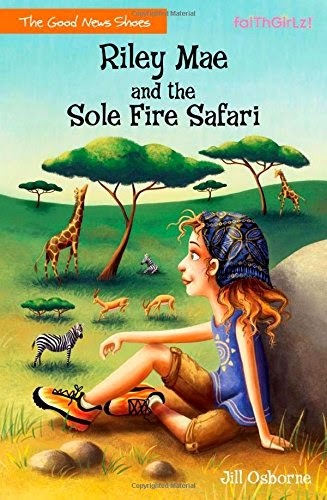 RILEY MAE AND THE SOLE FIRE SAFARI is the third book in the Good News Shoes series. I really liked it. It teaches you to love your enemies and not seek revenge. It is very exciting and if Riley Mae was a real person she’d be my absolute best friend. I recommend RILEY MAE AND THE SOLE FIRE SAFARI to other girls my age (twelve) or close to it. 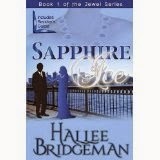 It is a good book and a great series. 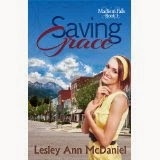 I recommend it for church libraries, Christian school libraries, homeschool libraries, or other tween girls (ages 8-12). $4.27 Kindle. $7.19 paperback. 256 pages. Also available in audio book or MP3. 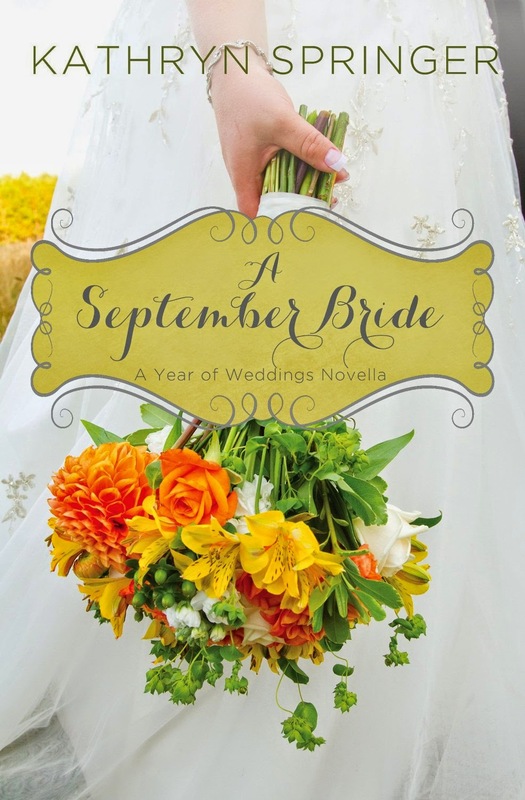 A SEPTEMBER BRIDE is the latest in the Year of Wedding series. I absolutely loved reading this and getting to know Annie and Jesse. 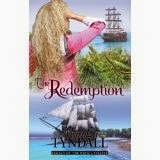 It was beautifully crafted, fun, and kind of reminded me of one of Denise Hunter’s cowboy romances, but was different enough to be not a copycat. I read Ms. Springer’s first books (Front Porch Princess) and would definitely look her books up and read more. 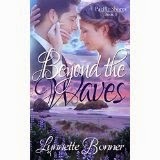 The characters are real, quirky, and there’s a tiny undercurrent of romantic tension. The faith message is understated. Recommended. You can buy all 10 books in Red Hot Squeaky Clean Romance collection for 99¢! Welcome to my blog, Misty. We’re glad to have you. I tend to be a bit of a sentimentalist, so Historical Romance is perfect for me! I love the simpler life, where there's no rat race. Just hard work, plenty of alone time (can you tell I'm an introvert? ), and a strong family unit. My stories usually center around horses and ranching, which comes from my love for the animals. I was completely horse crazy growing up, and actually trained and showed horses professionally for a couple years after high school. How fascinating about training horses. That gives you a lot of things to fall back on for your stories. What are you reading right now? That was a good book! What is your current work in progress? Growing up as an orphan, Josiah English wants nothing more than to have his own ranch and raise Arabian horses. Riding for the Pony Express is the ticket to his dream. And when he meets the stationmaster’s beautiful daughter, it seems the final puzzle piece is in place to form the happy life he craves. But when the Express shuts down and disaster strikes Mara’s family home, will Josiah learn what’s really important? Can Mara ever trust again? That sounds like a good book. How do you choose your settings for each book? Riding horses, to be sure. We're down to three horses right now, and with busy schedules we don't get to ride as often as we'd like. My daughters are ages seven and two, and both love the animals as much as I do! I want my readers to get a glimpse of how freeing life can be when you truly trust God's plan for your life. I tend to be a bit of a control freak, by nature. I'm not OCD, mind you (meaning I don't compulsively obsess about every little detail). But I need to feel like I'm in control of the outcome, and that things are moving according to my plan. Anyone who has read a few verses of Proverbs Chapter Three probably knows God calls us to trust in His leading, not our own plans. We are to trust that He will take us the better way. I'm very much a goal-setter. My mom calls me driven. After I've put together my chapter outline, I have a feel for how many total words the novel will be. From there, I set monthly goals (usually around 25,000 words per month), as well as daily and weekly goals to help me make sure I'll reach my monthly goal. This is one of the parts I've come to love about writing. The most important thing to understand is, the stories are all God's. He plants the storylines in my mind, and gradually feeds more ideas until the framework becomes clear. Usually when I'm at least halfway through one story, God plants the seeds for the next one in my mind. It helps to keep me excited about writing, knowing there's always something new on the horizon! Oh yes. No doubt about it, our "free will" makes us pretty miserable sometimes. But I sincerely believe God uses events and people in our lives to nudge us back onto His path when we stray. And sometimes when we've completely derailed, it takes sinking to the bottom before we turn things back over to him. I think that's one of the reasons I like to write about the theme of trusting God's plan for our lives. I want my stories to show how, even when we get off track, we can still come back to Him. And life with the Lord is light years better than struggling on our own. 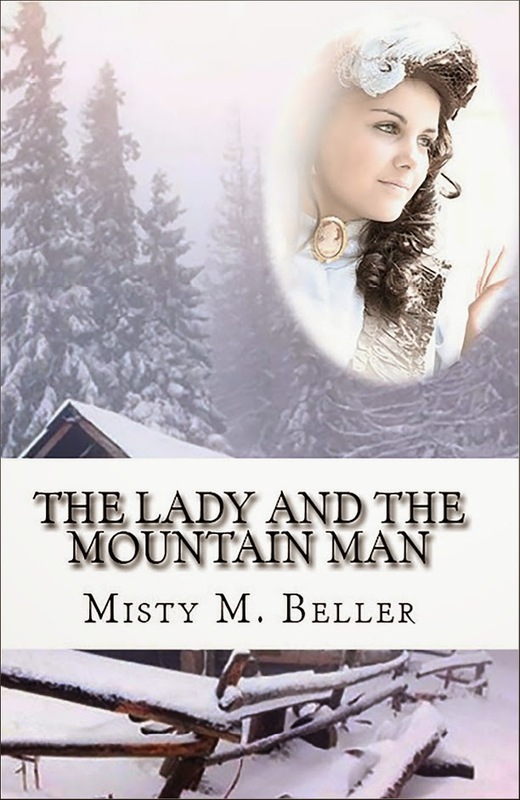 Writing is a dream come true for Misty. Her family—both immediate and extended—is the foundation that holds her secure in that dream. You can find Misty on her website, blog, Goodreads, Twitter, Google+, and Pinterest. Book spotlight: Slave Again / Giveaway!!! !